Banbury Area Amnesty International Group are holding an Amnes-tea. Join us for tea and cake and to support human rights. All are very welcome to drop in at any time next Saturday. Please share this message with contacts you think could be interested. On Saturday, June 10, the long campaign for a memorial to the 31 men and women from Oxfordshire who fought against fascism and for democracy in the Spanish Civil War of 1936-39 comes to a successful conclusion. At noon, the Deputy Lord Mayor of Oxford, Councillor Christine Simm, will perform the unveiling next to South Park, at the junction of Headington Road and Morrell Avenue. Six of the 31 were killed in action and their names appear on the memorial. The campaign was launched in 2014 by a small committee made up of local members of the International Brigade Memorial Trust (IBMT), the charity which keeps alive the memory and spirit of the 2,726 volunteers from the British Isles who went to Spain. Of these, 543 never returned. There are more than 100 memorials in towns and cities throughout the country, but Oxford has been notably absent from the list. That was something we were determined to put right. Buying a suitable block of granite and commissioning a highly regarded and sympathetic sculptor (Charlie Carter) didn’t come cheap and our first priority was raising the necessary funds. Many individuals and organisations – including Banbury and Bicester Labour Party – answered our appeal. The trade union movement was particularly generous and three of our largest donations came from Unison, the Oxford and district branch of the National Union of Journalists and the southeast regional committee of Unite. We also published a book, No Other Way: Oxfordshire and the Spanish Civil War 1936-39, by three local historians (myself included), which features biographies of the 31 volunteers and describes the Aid for Spain movement in Oxford and the surrounding area. The book has had excellent reviews and we’re already on to a second printing. If you’d like a copy, let me know. But raising money wasn’t the only problem. We also had to find a suitable site somewhere in Oxford, which was far from easy in such a crowded city. Our first choice was Bonn Square, but we were unable go ahead with this for planning reasons. Our second choice was St Giles, close to the present memorial to those killed in the two world wars. But this had to be abandoned because of objections by local residents. Some disliked our design of a clenched fist crushing a fascist scorpion. The clenched fist symbolises hope and defiance and was widely used as a greeting in Republican Spain, but the objectors condemned it as being too aggressive and ‘neo-Stalinist’. Some even disliked the idea of our memorial being close to the War Memorial, seemingly unaware that those who served in Spain had begun the fight against fascism three years before the outbreak of the Second World War. We felt sure that our third choice of site, on a triangle of open land opposite South Park, and well away from any houses, would go through smoothly. But again we encountered a hornet’s nest of opposition. In the forefront, was the Oxford Preservation Trust (OPT), which claimed that our memorial would detract from a ‘monolith’ by the renowned sculptor, Eric Gill, which has stood in South Park since 1951. Ironically, Gill was himself an ardent supporter of the Spanish Republic and would almost certainly have been in favour of the memorial. The OPT also claimed that the memorial – no taller than the average man – would impact views within the local conservation area. We even faced opposition on religious grounds, with some Catholics citing the atrocities supposedly carried out by Republican forces against Catholic priests, religious and lay people in the Spanish Civil War. In fact, most of these atrocities were committed in areas outside the control of the Republican authorities, and they were ended as soon the authorities gained control. Franco’s forces, on the other hand, encouraged by their German and Italian backers, used terror as a weapon of war, deliberately killing thousands of civilians. Perhaps the most notorious example of this policy occurred 80 years last month, when the small Basque town of Guernica was destroyed in one afternoon of sustained aerial bombardment. Our application to use the site near South Park finally came before the West Area Planning Committee of Oxford City Council in February. The objectors were there in force, but our case was convincingly put by the Chair of our small group, Colin Carritt, a former Mayor of Woodstock, who has a very personal stake in the project. Both his father and uncle served with the International Brigades in Spain. His father survived, but his uncle was killed at the devastating Battle of Brunete in July 1937. He was just 23. The Council’s own planners comprehensively demolished the objections by the OPT and our application was approved by five votes to three, with one abstention. Those in favour were all Labour councillors; those against were all LibDebs. The abstainer was the Labour Chair of the committee. The vote in favour would have been greater but for the unavoidable absence of two Labour councillors. It has been a long and sometimes frustrating campaign, but we are delighted that the 31 Oxfordshire volunteers are finally to receive the honour they deserve. As part of the commemoration weekend, we’re also holding a public meeting on the evening of June 9 and a concert on the evening of June 10. The meeting, at the Friends’ Meeting House in St Giles, Oxford, on the theme of Fighting Franco, has a star line-up of speakers, including Professor Paul Preston, the leading historian of the Spanish Civil War, Richard Baxell, Chair of the IBMT, Professor Valentine Cunningham, editor of The Penguin Book of Spanish Civil War Verse, and Carmen Negrin, granddaughter of Juan Negrin, the last Prime Minister of the Spanish Republic. Carmen is travelling from her home in Spain specially to be with us and will also be speaking at the unveiling the following day. Tickets for the meeting are £5 on the door or £4 pre-booked. Doors open at 7.30pm for an 8pm start. Please send a cheque (plus sae) made out to the IBMT to John Haywood, 1 Queens Road, Banbury OX16 OEB. The concert, which includes the Cuban-style Oxford group, Ran Kan Kan, Camino del Flamenco and Na-Mara, is at West Oxford Community Centre, Botley Road, just 5 minutes from the railway station. There is also a car park. A high point of the evening will La Pasionaria’s famous farewell speech to the International Brigades, spoken in both English and Spanish. The bar opens at 7pm and the music continues from 7.45 to 11.30pm. Advance tickets are £15 by June 5 or £20 on the door. Again, cheques (plus sae) should be made out to the IBMT and sent to John Haywood. All profits will go towards the cost of the memorial. Like the unveiling itself, both events will be unique and unforgettable experiences. And it could just be that we’ll all looking for something to boost our spirits in the aftermath of the election. 3-Course dinner – Mezzeto, 67 Walton Street, Jericho. Guest Speaker: Valentine Cunningham, editor of The Penguin Book of Spanish Civil War Verse and a leading authority on the literature of the war. All profits from the dinner will go to the memorial to the 31 Oxfordshire volunteers who fought against Franco and in the defence of liberty in the Spanish Civil War 1936-1939. Six of the volunteers were killed. Tickets are £25. Send cheque, including sae, to Chris Farman, Priory Dene, Hudson Street, Deddington, OX15 0SW. Everyone is warmly invited to participate in our annual signing of greetings cards for individuals suffering human rights abuses in different parts of the world, as part of Amnesty’s Write for Rights Campaign. We will be holding an informal “drop in” session in St Mary’s Church, Banbury between midday and 2pm on Saturday 10 December (which is also Human Rights Day), with (free) tea/coffee and mince pies. It will be great to see you and popping by for a short time during the two-hour period is fine. This is an opportunity to send these individuals and others short messages of hope and encouragement at a time of great stress and pressure. The Amnesty messages, sent from volunteer groups all round the world, are a great source of hope and comfort, and send a powerful signal that they are not alone. There are well-documented cases of this campaign helping to bring about release or improved treatment. AMNESTY INTERNATIONAL COMES TO BANBURY – YOUR CHANCE TO GET INVOLVED! Those interested in supporting human rights are very welcome to attend the inaugural meeting of a new local group. 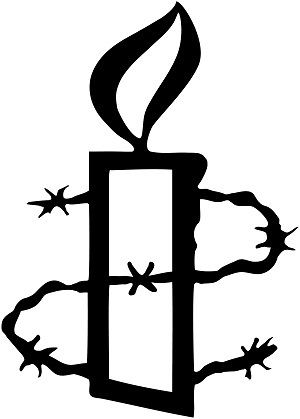 The Banbury Area Amnesty International Group will hold its first meeting on Monday 13 June at 8pm at The Friends’ Meeting House, Horse Fair, Banbury OX16 0AH. The Banbury Area Group will join several hundred local Amnesty volunteer groups working to support Amnesty’s campaigns, raise awareness of human rights issues and to raise funds to support Amnesty’s research and education activities. This will be an opportunity to get involved in supporting key Amnesty campaigns, for example to stop torture, defend the Human Rights Act and to ensure fair and humane treatment for refugees, migrants and asylum seekers. The group will also work on individual cases of human rights abuse, working to put pressure on Governments around the world to deliver justice, freedom, truth and dignity for their citizens. Amnesty’s local groups consist entirely of volunteers and specialist knowledge of human rights issues is not necessary. The meeting on 13 June will include a talk by Kerry Moscogiuri, Amnesty’s UK’s Director of Supporter Campaigning and Communications. This will provide an overview of Amnesty’s purpose and activities for those not familiar with Amnesty’s work, and it will be a valuable update for those already involved. The meeting will also be an opportunity to input ideas and suggestions for how the Group should organise itself and what its priorities should be. There has for a number of years been an Amnesty Group based in Bloxham, just outside Banbury. That Group will become part of the new Banbury Area Group, intended to serve Banbury and the surrounding villages. Amnesty International is a movement of ordinary people from around the world standing up for humanity and human rights. Amnesty’s purpose is to protect individuals wherever justice, fairness, freedom and truth are denied. As a global movement of over seven million people, Amnesty International is the world’s largest grassroots human rights organisation. Amnesty investigates and exposes human rights abuses, educates and mobilises the public and helps transform societies to create a safer, more just world. Amnesty has received the Nobel Peace Prize for its work. The Banbury Area Group is a new local volunteer group within Amnesty UK’s network of local, student and youth groups. There are about 700 such groups in the UK. This will be the first time there has been an Amnesty Group based in Banbury serving the town and its surrounding villages. We hope to see you on 13 June! Banbury Food for Charities is a registered Charity with the main purpose of reducing local food waste. Its volunteers pick up unsold fruit, vegetables and bakery products near their best before date and then immediately deliver this food to 16 charities within Banbury which support people that do not get enough healthy food. It’s such a simple idea and there are no charges for the food or for the delivery. The food is safe and always within use-by date, but would otherwise be lost to people’s plates – being sent instead to landfill, animal food or bio-digester. The charity was set up a year ago with both political and non-political active Trustees and volunteers including members of Green Party, Labour Party and both a Conservative and a Labour Councillor – all working together to recycle unsold food. This eclectic mix has the benefit of bringing a wide range of experience, ideas, contacts and volunteers. One year on, Banbury Food for Charities is recycling food three days a week, handling anything from 30 to 80 supermarket trays a week, donated by our wonderful local partners: Aldi, Sainsbury and BB Fruits (Charter Market). We can’t thank them enough for the support and enthusiasm by management and staff alike. The Villages Branch listened to an inspiring talk about Howard House, Oxford, by Rev Michael Howard & recovering alcoholic, Duncan, at their July meeting. Michael’s opening remark shocked us into attention when said “We are all drug users —- and it’s OK until it becomes a problem.” He spoke of his work as a probation officer and the beginning, nearly twenty years ago, of a new agency working with the police in custody suites where arrested drug users were faced with the stark reality of being locked up, facing prison, and so were open to intervention from ex addicts: ready to undergo assessment, recovery and rehabilitation. This “arrest referral scheme” in Oxfordshire, called SMART, diversified into prison and community work, spread across the Thames Valley and was highly acclaimed by government . Its “innovations in drug services” led to the establishing five years ago of a residential drug recovery project in Oxford, Howard House, which has places for ten residents and a twelve week programme. Duncan, a recovering alcoholic, described Howard House as an amazing, loving, but, initially, terrifying place – with security fencing, strict rules and tough discipline. When alcohol threatened to destroy his marriage, he turned to his parents for help and they helped him to get a place for a programme of rehabilitation and care at Howard House. Staff & group support was strong because residents had experienced common addiction problems and had a shared aim – to get better. Duncan described how the need for another drink was an illness which dominated his life and drove away his wife and child and threatened to take his life. Now he has gained the mental and physical ‘armour’ to fight his addiction, getting through the toughest first 8 days and gaining confidence with plans for the future during the next 11 weeks. After nearly a year of readjustment, Duncan is working again, his wife and baby have come back home and his life has been restored. Duncan continues to attend AA weekly meetings and gives talks to raise funds to support the work of Howard House. This documentary, produced and directed by Peter Bach, outlines how corporate interests rather than patient care is driving reform in today’s NHS and will divert money away from YOU. And the media are failing to tell you this. With over a dozen NHS insiders as witnesses, the documentary the alarming story of how the health service as we know it has been quietly abolished. Almost without our noticing, it’s been replaced by a system modelled on the US in which care is delivered by profit-maximising companies that charge patients for treatment which is anyway to be restricted and reduced. Entry is free – donations welcome. John Arthur and Ruth Brown described the work of the Samaritans to members of the NOVLP Branch at their meeting in Adderbury. Banbury and District Samaritans is one of 201 Branches which altogether have a total of around 60,000 volunteers nationwide (including Eire) who handled about 500,000 calls in 2014. Banbury and District branch has approximately 60 listening volunteers, and last year they received around 26,000 contacts. Recruits are carefully selected and receive extensive training and a six-month probationary period with a mentor. Samaritans is a charity, and each branch must raise their own funds. In spite of cuts Banbury and District manages to hang on by their finger nails! Banbury Samaritans was founded in 1974 to help people experiencing anxiety or distress, including those feelings which may lead to self-harming or suicide. They take contacts primarily by telephone, but also by email and SMS. Callers can also visit the branch in person. Samaritans offer emotional support, and by being non-judgemental and never giving advice, but by “active listening” and encouraging callers to talk, they hope to reduce the suicide rate. All calls are treated with total confidentiality – in certain circumstances (contacts with people under 18 for instance) phone numbers for other agencies will be offered. Many calls come from prisoners, and the Samaritans train some prisoners as ‘listeners’ to whom other prisoners in distress may turn. In recent years there seem to have been an increase in calls from people affected by these difficult economic times. They receive many contacts from people suffering mental illness and depression. Other reasons for contacts might include bereavement, illness, divorce etc. Emails also come from distressed people in the USA who have no equivalent service to turn to there. Samaritans give presentations to school students, as well as providing staff with DEAL, a package designed for teachers, and which deals with emotional health, and STEP BY STEP, which is a further package for schools giving practical advice to staff in the event of a serious incident. Banbury and District have now established contact with most schools in the region, and hope to have on going relationships with all of them in the near future. Nationally Samaritans have set up a partnership with Network Rail, helping railway staff deal with the high numbers of suicides on the railways. Food for Charities is a new charity that picks up food from supermarkets and wholesalers that would otherwise be thrown away, and delivers it to other charities in Banbury, for free. This helps to reduce food waste and food poverty. Fresh fruit, vegetables, bread and dairy products– from your garden, allotment, left over from a party etc. Any non-perishables that we receive will normally be passed to the Banbury Food Bank. Please contact Valerie Richards at bvrichards@tiscali.co.uk or 01295 369518. Peter Whittle, who died at home on 30 October 2014, joined the Labour Party in the 1960s and was a loyal member and worker for the Party during his more than 50 years’ membership. His wife Margaret described his death as a “happy release” from the pain of his cancer. A retired English and Drama teacher, Peter was a kind, thoughtful and generous man who sought to serve his local community. When Peter and Margaret moved to Upper Tadmarton they quickly established themselves as active and popular members of the village – even after they caused a stir by displaying Labour Posters at their home, a prime site on the main road through the village. Not only was Peter Clerk to the Swalcliffe Parish Council for 21 years, but he also dedicated his time to raising funds for the Katharine House Hospice. Amazingly Peter and Margaret raised over £100,000 for the Hospice by 2013. Peter continued this work in spite of his illness and their recent 2014 event at the Village Hall raised a further £4,000 for the Hospice! Peter was also a regular contributor to the Banbury Guardian, writing the news for his village each week and organising the ‘Church Cross Talk’ articles. The village and his many friends will miss him. As part of National Quaker Week Banbury Friends are holding a Sustainability Forum on Thursday 9th October at Banbury and Bicester College (formerly Oxford and Cherwell Valley College) in Banbury. Following successful events in previous years a new selection of experts will present their perspectives, fielding questions and responding to views from members of the public. The chair this year is the reverend Dr Paula Clifford, vicar of Minster Lovell and past advisor to the Archbishop of Canterbury on climate change, and the speakers are Marion Homer, lead local partnership advisor for the Waste and Resources Action Programme (WRAP); Mike Pollard, Midlands Reserve Manager for the Royal Society for the Protection of Birds (RSPB); a speaker from Kids Company helping underprivileged young people; and Sabrina Gröschel, project developer for the Ecumenical Council for Corporate Responsibility on Ethical Money. There will be a light buffet reception at 18:30 and the forum is from 19:30 to 21:30 in the Main Hall at Banbury and Bicester College (formerly Oxford and Cherwell Valley College) in Banbury Broughton Road, Banbury, , Oxfordshire, OX16 9QA. Rev. Dr. Paula Clifford biog: Before embarking on a career in international development, Paula taught at the University of Reading and then at Magdalen and Somerville Colleges in Oxford. She worked for Christian Aid for 13 years where she was Head of Theology. In 2007-2008 she was the Archbishop of Canterbury’s Advisor on Climate Change. Currently she is Vicar of Minster Lovell and also has a part-time post working with the Oxford churches. Paula has published a wide range of books and articles, including Angels with trumpets: the church in a time of global warming. Please take a moment to check it out on Indiegogo and also share it with your friends. All the tools are there. Get perks, make a contribution, or simply follow updates. If enough of us get behind it, we can make the memorial happen! Ataxia UK is a charity providing research and support for people with ataxia, a neurological condition causing a range of mild to very severe progressive balance, co-ordination and mobility problems. Please note, Banbury Constituency Labour Party has no official policy as yet on fracking in Oxfordshire. If you think your organisation has similar values to the Banbury Labour Party, the Community Corner page on our web site may be the place for you to spread the word. Send any text/photos/videos to Derek – derekjevans@aol.com. If mutually beneficial we could agree to exchange links. We reserve the right to refuse anything we think unsuitable.